Anita Anastasi and Jennifer Conners met in 2003 as volunteers for a local shelter. Together they focused on the bully breeds and the dogs who few would work with. One of the dogs for adoption there was a wonderful Pit Bull named Lilo. She was a young female brindle with the sweetest face. She was a favorite of all the volunteers. Lilo became very ill and needed to spend time at the vet hospital. The two of them would go and sit with Lilo while she was in the hospital so she would not be alone and would have people she knew around her. Sitting with Lilo, Anita & Jenn became fast friends. Realizing how much they had in common, they shared the same philosophies on rescue and love of dogs. Lilo returned to the shelter but then had to immediately return to the hospital due to complications and reactions to medications. And then, to everyone's delight, she was adopted by one of the vet techs who cared for her. Everyone was overjoyed! But sadly, not much longer after her adoption, Lilo lost her battle with the illness that she faced. Everyone Lilo touched was devastated by her loss. Jenn & Anita felt they owed so much to Lilo. To them she was not a Pit Bull, she was a dog that deserved to be loved. She brought them together as friends and taught them so much about her breed; their love and trust of people, how completely silly they are, how they are viewed by the general public, but more importantly that no matter what adversity they’ve endured, the eagerness they show to love and be loved. As time went on and their friendship grew, they spoke of the day they would start their own rescue. It was something Jenn aspired to since she first started working with shelter dogs back in 1991. Their main goal was and still is to save dogs who are out of time in local kill shelters and those dogs who are overlooked and discriminated against because of breed. Lilo’s Promise does not believe in discriminating against breed and that all dogs are individuals. 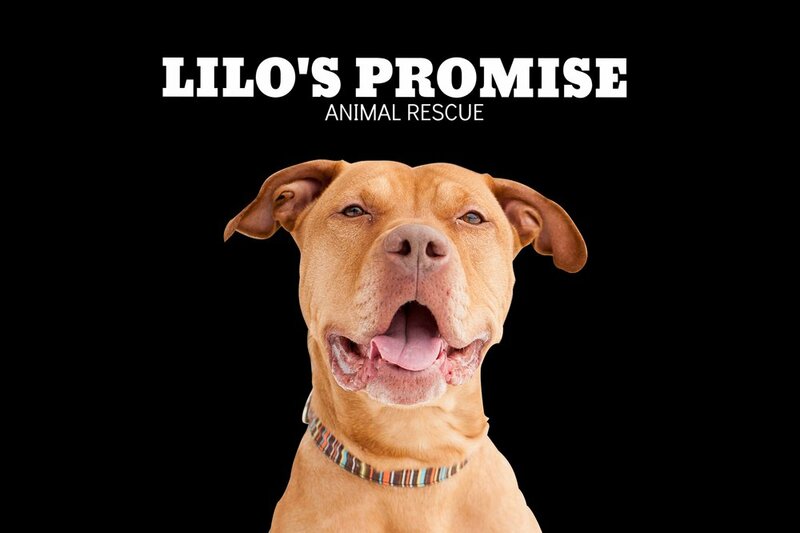 So, in honor of their beloved Lilo, with the help of family and friends, Lilo’s Promise Animal Rescue began. Fast forward and our amazing team has grown! Jennifer Conners, Heather Speeks, Nina Armenia, Laura Anderson and Michele Schaffer Stevens have brought so much to our rescue. From years of shelter and rescue experience, graphic arts and photography, business and fundraising skills and so much more. Our dedicated team devotes countless hours to giving the dogs in our rescue everything they need to be happy, healthy, trained and to thrive while waiting for their forever homes. Lilo’s Promise continues to forge on many years later because of these fantastic ladies who give their time, love, dedication and passion to our rescue and the dogs who come through our doors. We hope you will take something away from visiting our site. Maybe a decision to adopt, a choice to volunteer with animals, to learn about and educate others on breed discrimination, or just a smile. Whatever it may be, we hope you enjoy.